I know that this post is coming almost two weeks late, but, for those of you who are still checking in from time to time, here it is. 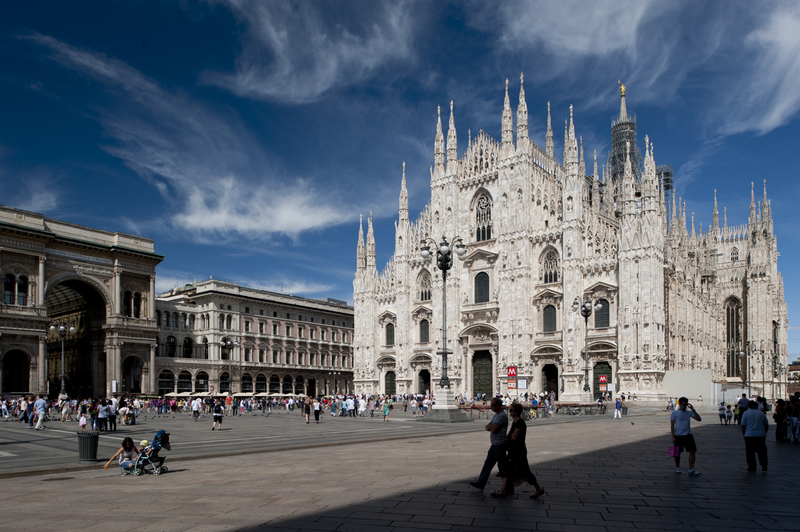 The final destination of my journey was Milan, where I just spent an afternoon and night before flying out in the morning. I only had half of an afternoon for site-seeing, and not much time to do anything else. I was, however, able to meet up with an old Milanese friend for a beer in the evening. I plan on having a couple more posts before I can really say that I’m finished, so keep checking back over the next couple of days. 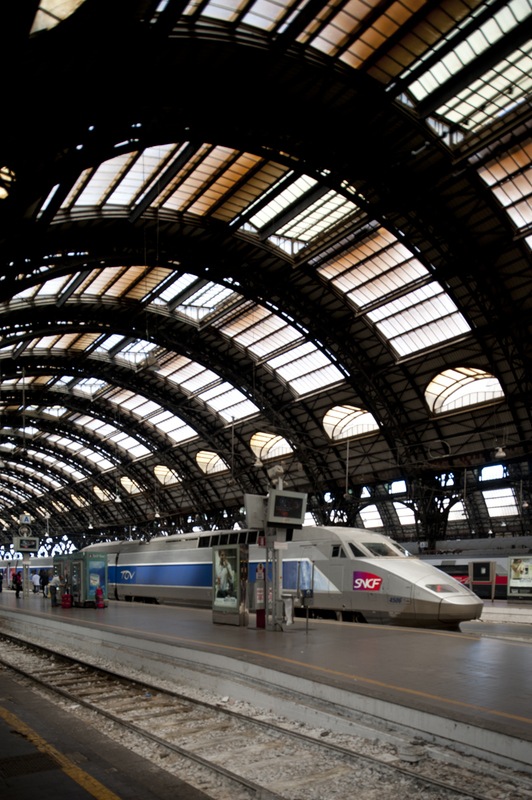 The train station in Milan, the Stazione Centrale, has one of Europe's great huge sheds. When I walked through the station's beaux-arts entry portico later in the evening, a boxing ring had been set up in the center. The matches hadn't started yet, though, and I promised myself that I would come back to see the spectacle. Unfortunately, I completely forgot to return until it was too late. Seeing the Duomo reminded me how far I had come since first arriving in Xi'an. 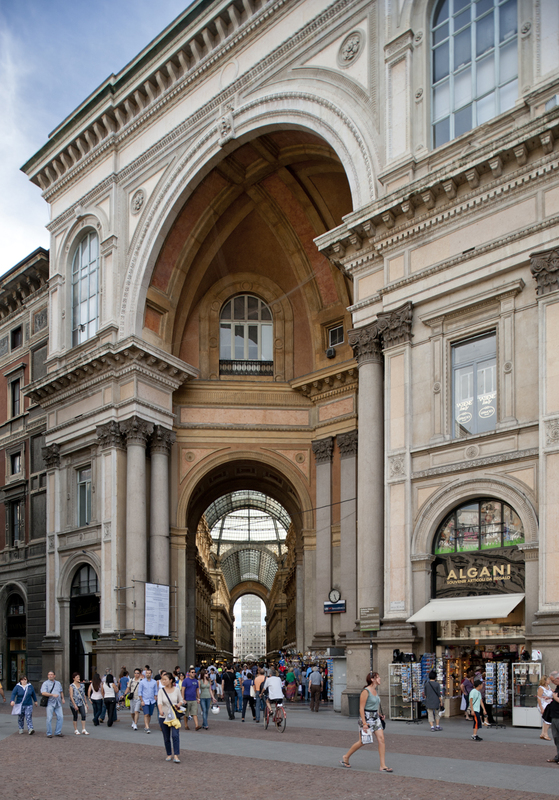 Over to the left, you can see the entrance to the Galleria Victorio Emanuele II. 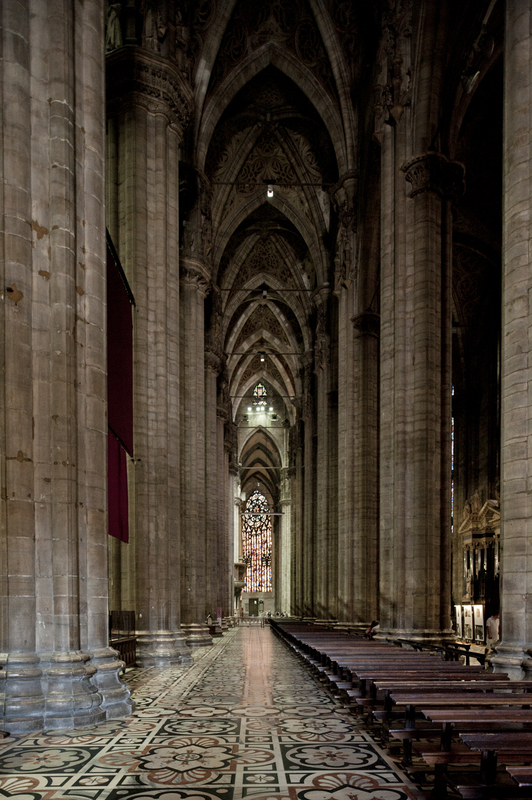 The scale of gothic churches is always a little ambiguous to me until I see someone standing in the foreground. 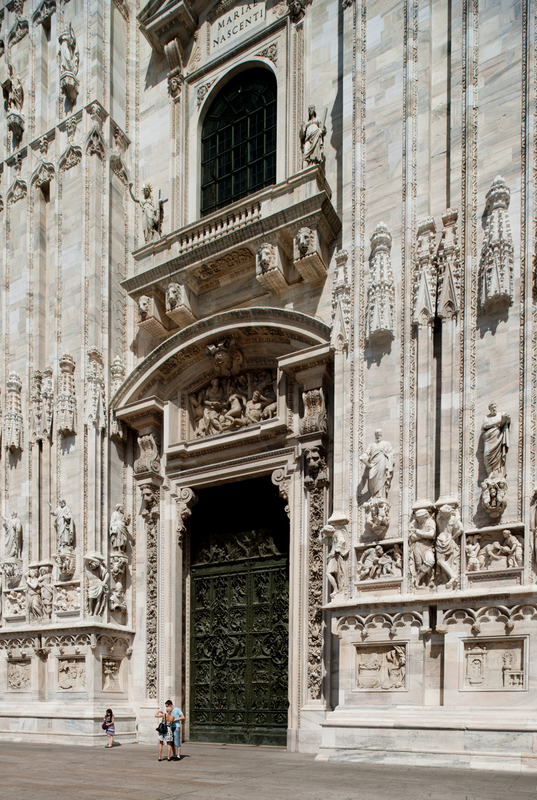 The Duomo, which was built over 500 years in a somewhat strange melange of styles, is no exception. Compare the people in this image to the size of the doors. 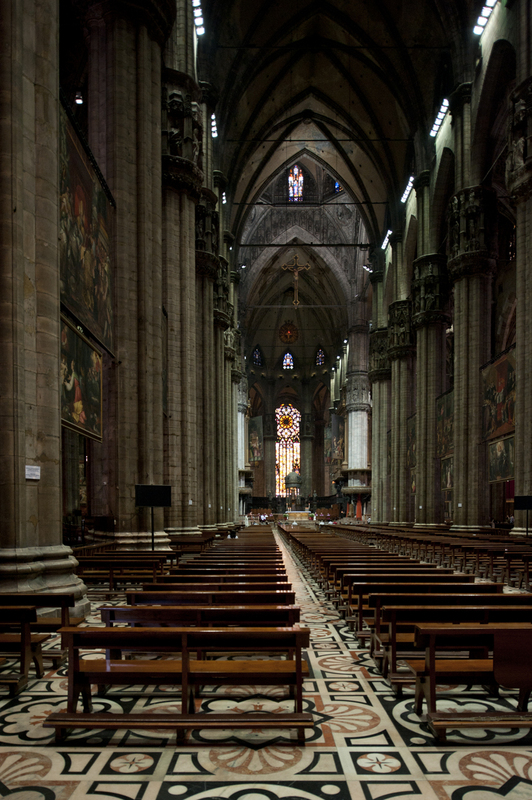 Maybe this trip has given me a new-found appreciation of light, but the interior of the Duomo seemed incredibly dark. There was a mass taking place, so I was restricted from exploring much of the interior. Here, gothic arches show their real potential. 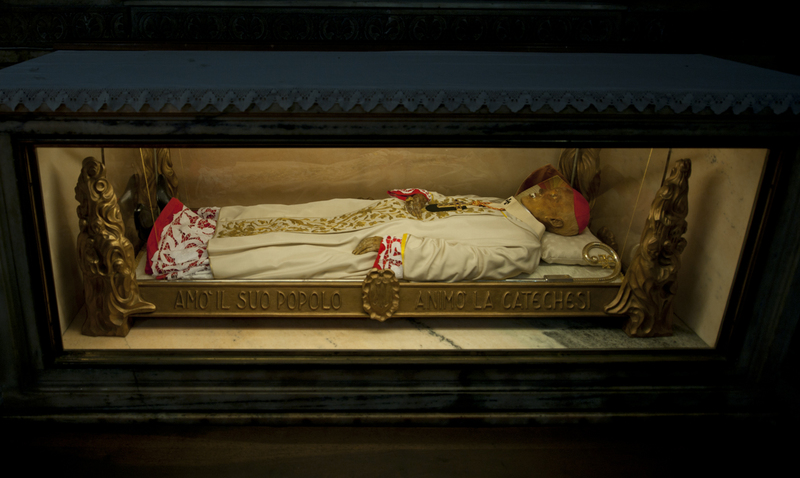 This display, featuring the preserved, if somewhat decayed, dead body of a former pope, was pretty grotesque, and will give me nightmares for years. 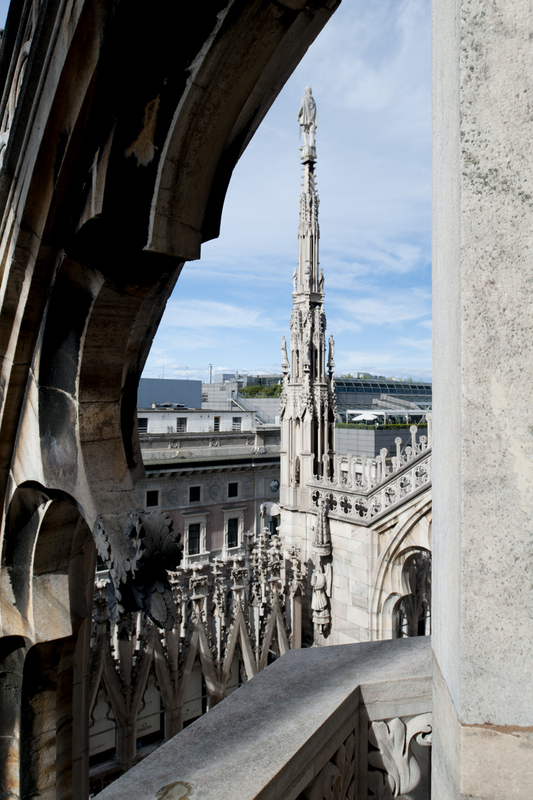 Rather than gargoyles, the buttresses are capped with statues of notable saints, priests, and a few lay-people. 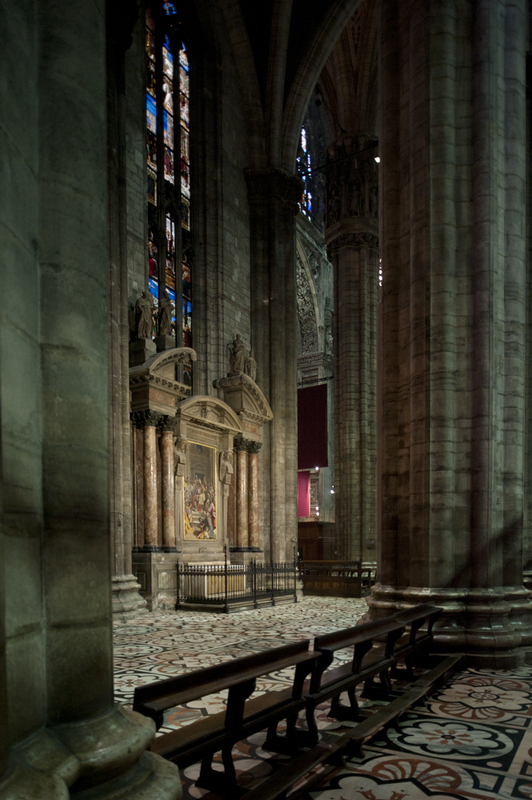 Napoleon was crowned King of Italy inside the Duomo, and he promised to pay for its completion. However, a little problem in Russia prevented him from ever making good on the promise. I purchased a ticket to take the stairs to the roof from quite possibly the rudest person that I encountered on my whole trip. 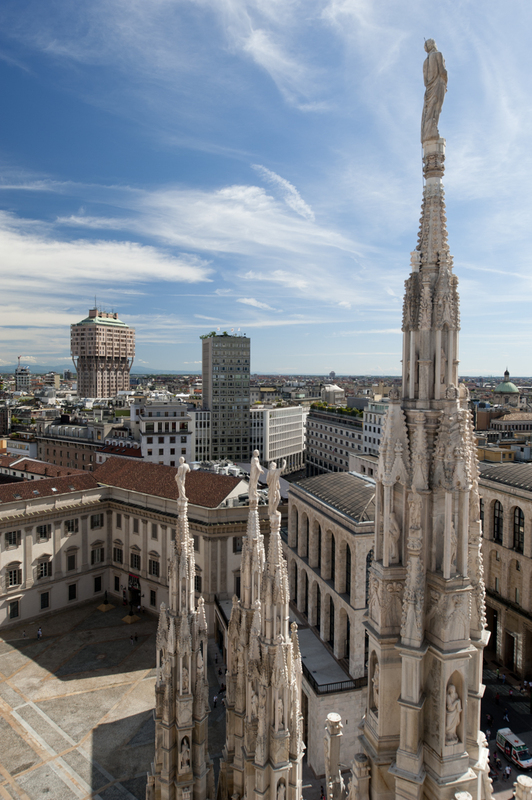 The iconic 1954 Torre Velasca can be seen in the background. 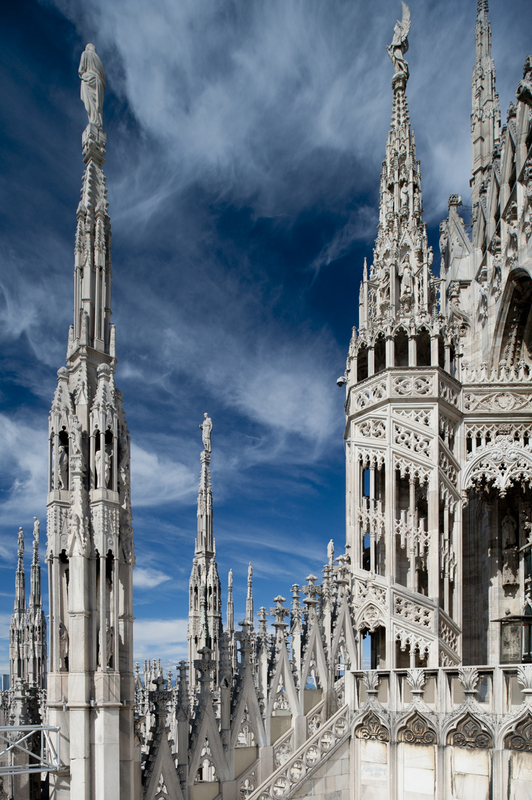 John Ruskin famously said of the Duomo that it stole "from every style in the world: and every style spoiled." 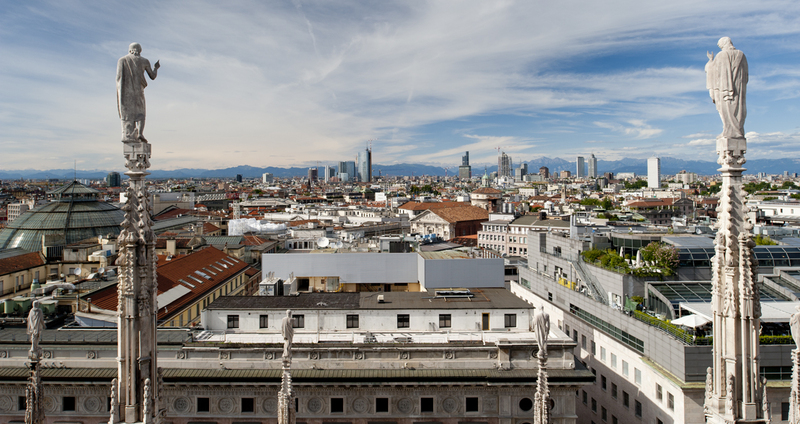 The view over MIlan, towards the distant mountains, was worth the interaction with the grumpy ticket salesman. My ticket also gave me the privelege of climbing around the flying buttresses. 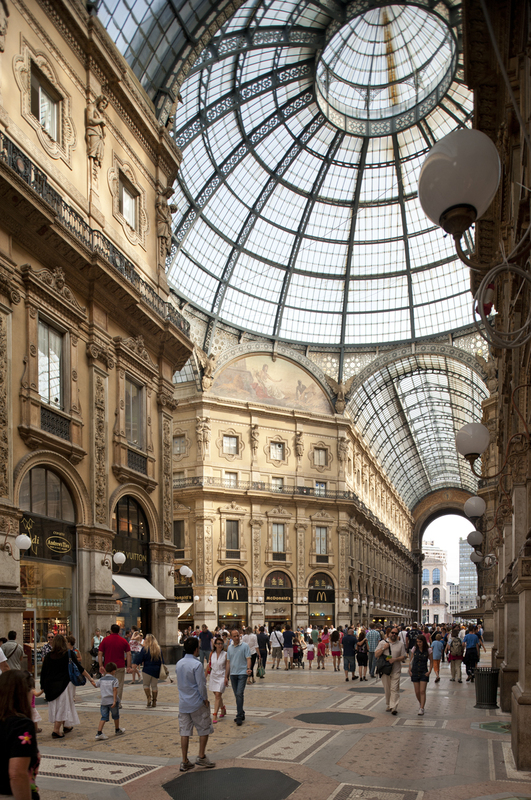 The Galleria Vittorio Emanuele II was a precursor to modern shopping malls. 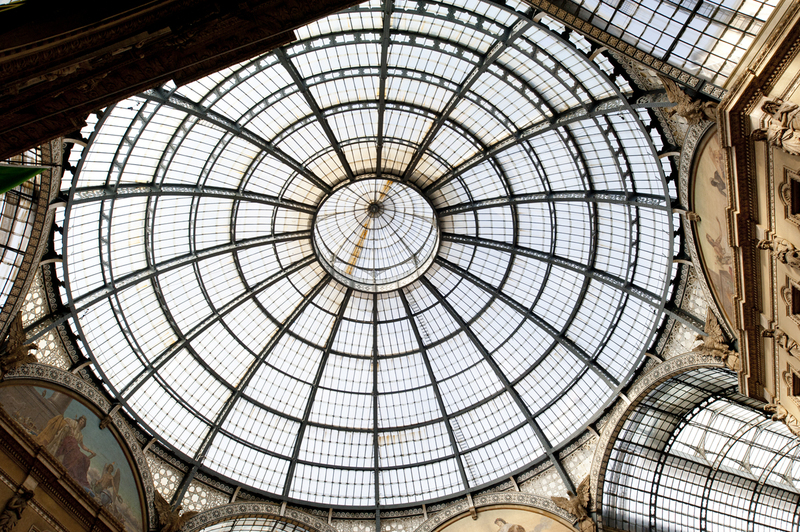 Designed in a cruciform pattern, the two axes come together at this enormous dome. What do you know? There's a real Italian McDonalds there. I suppose this is the last of the many photos that I've shown of domes during this trip. 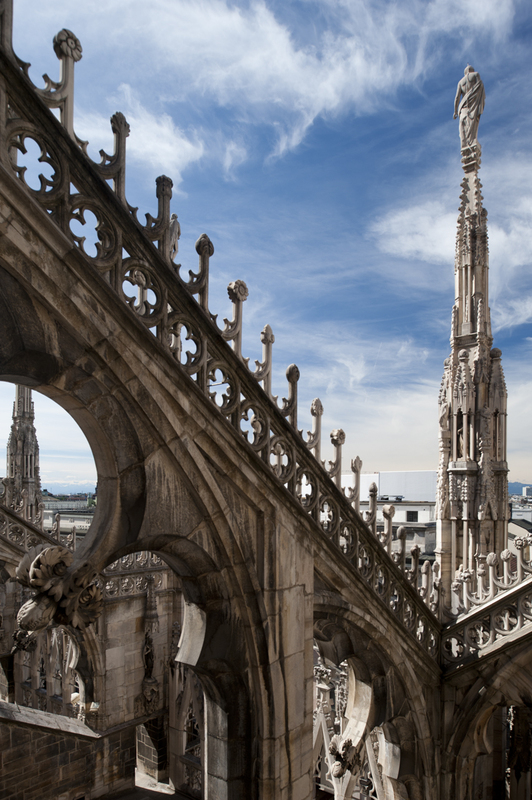 The Galleria stretches from the Duomo to la Scala, where it is severed at an angle. 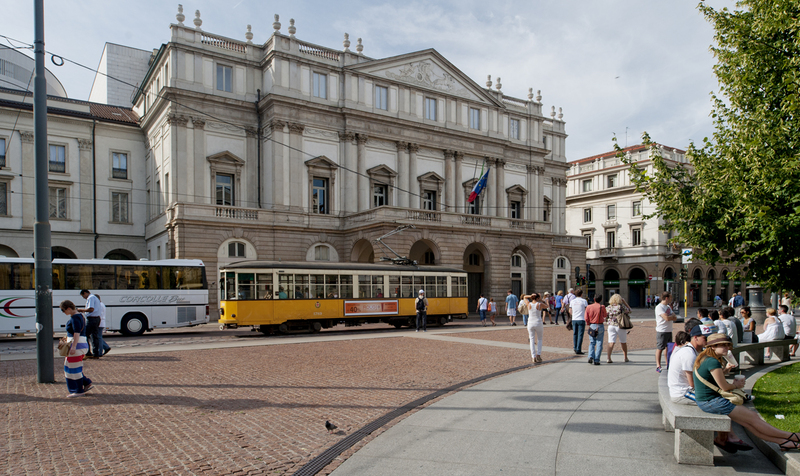 Unfortunately, I arrived at the Teatro alla Scala after closing time, but here it is from the exterior. Leonardo Da Vinci pokes up in a lot of places in this town. 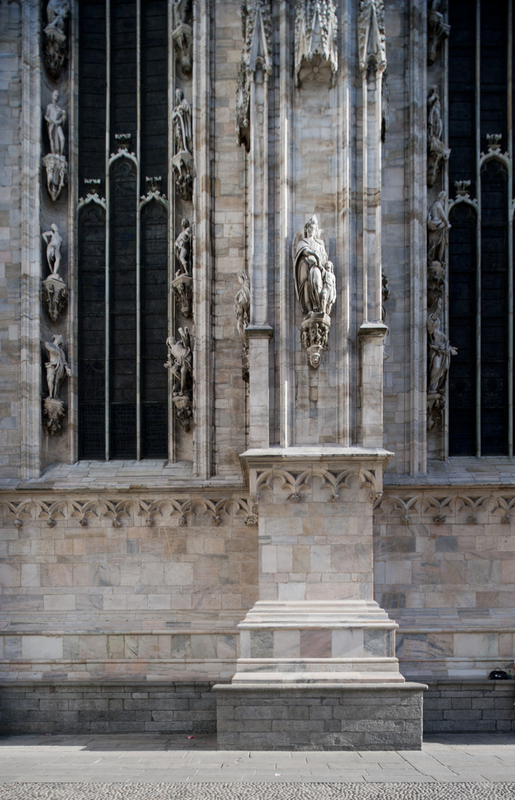 I lost count of how many statues adorn the Duomo, but this must be one of three million. 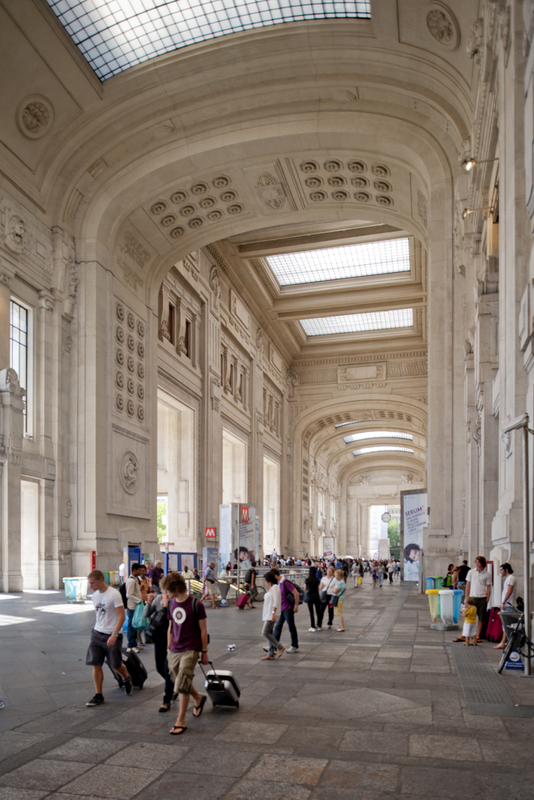 The Milan train station is beautiful, why don’t we design our transportation hubs like that anymore? Maybe people would enjoy public transport more if it looked like that! I loved the photos you got of the cathedral, it looks like you were very high up…a lot of stairs involved in those photos? Yeah, I’m not sure exactly how many steps there were, but it seemed like a lot. I got stuck behind some slow pokes on the way up, but descended pretty quickly. There is also an elevator to the top, but it costs an extra four euros. 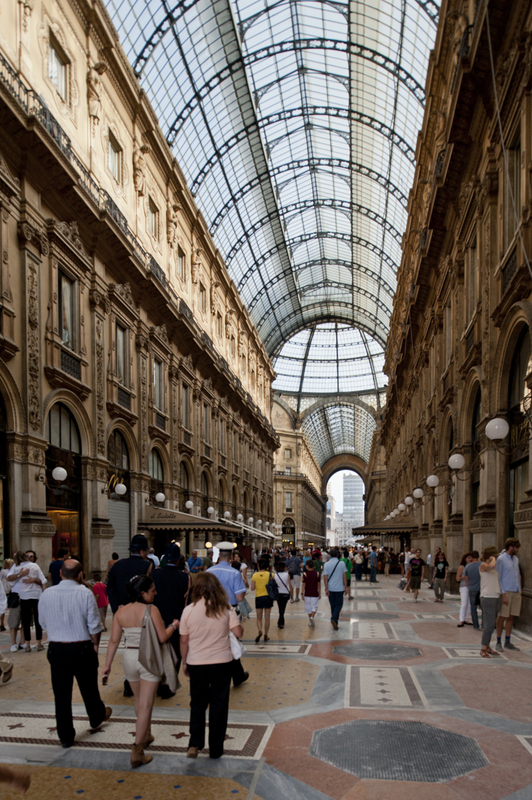 The Galleria Vittorio Emanuele II is much nicer than any shopping malls in the US. If there were some like this here, maybe there would be more shopping and that would boast the economy!! 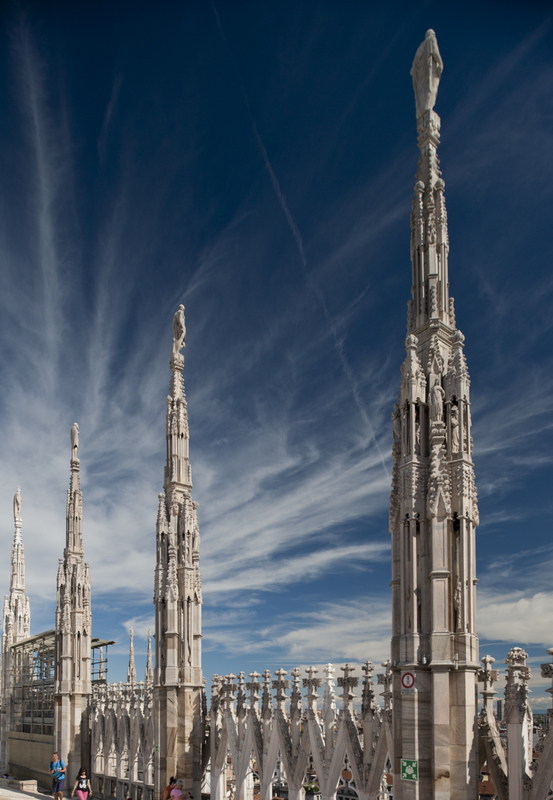 With my non architect background, the spires on the Duomo remind me of the sand towers we built as kids by dribbling wet sand. Tad the pictures from the roof of the Duomo are quite amazing. 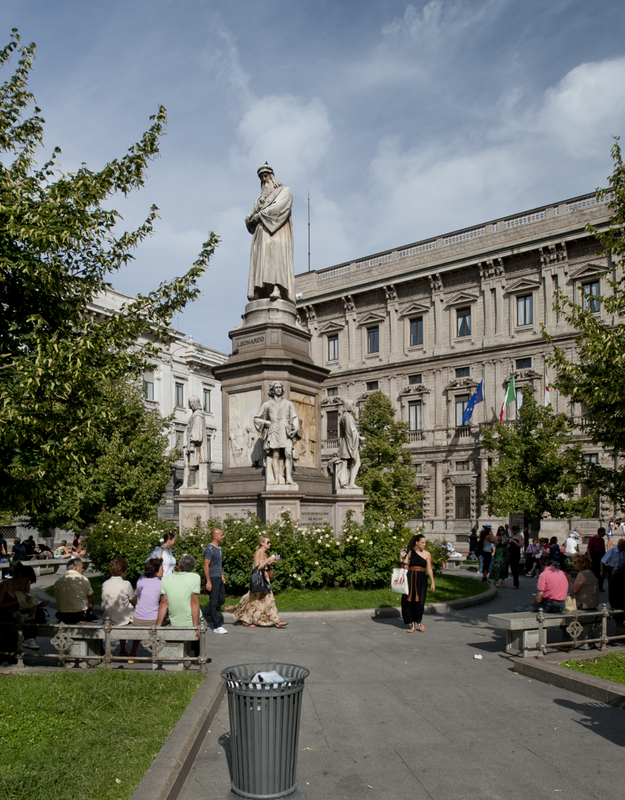 Nice saying “La Scalla” for the Teatro alla Scala in Milan… Great blog is your.. Bye from Italy. Thank you. I’ve corrected the mistake.